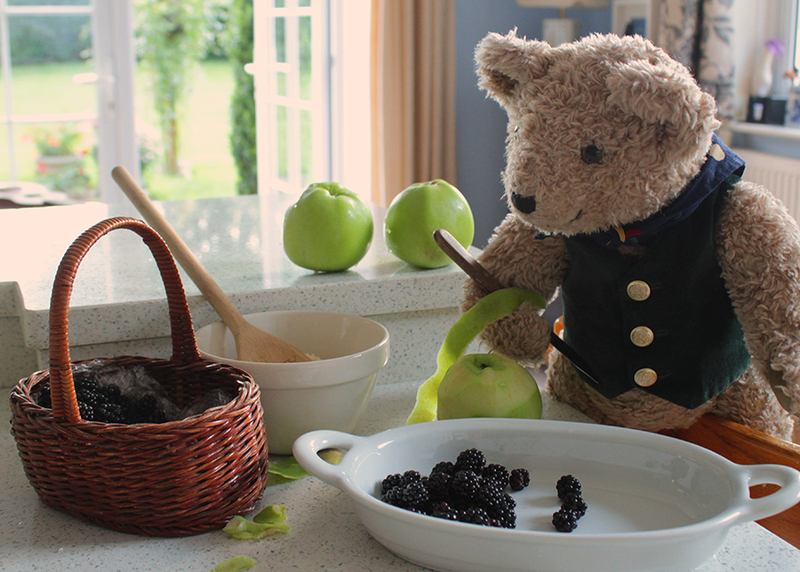 Binky’s Blackberry and Apple Crumble! By Liz Nankivell I am passionate about getting children involved in doing things with you, whether it be handing them a map to lead you on a Binky Walk or encouraging them to help you in the kitchen but I know from my own experience that the thought of all the disorder and mess this might create, can easily put you off. That is until I realised that children don't really notice that they did not do everything and even playing a small part still gives them a great sense of pride in the final, delicious result. Here's a classic autumnal recipe for Blackberry and Apple Crumble. When I last made it, my little helper on the day, had a go at chopping apples with a plastic picnic knife and then she added all the pre-prepared ingredients to the dish. When the final result was put in front of the family, she proudly told everyone that she made it! 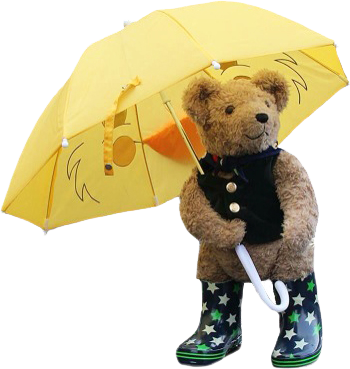 PS: I thought you'd like our blog illustration of Binky getting involved too. Such a clever teddy bear. Introduction: Apple and Blackberry Crumble is a British classic pudding recipe. It is simple to make and ideal for involving a little helper. This recipe will make a crumble for 4 people. Ingredients and method: Take a kilo of apples; Granny Smith’s or Bramleys are best. Peel and core them and then slice them thinly, adding about four handfuls of blackberries. Sprinkle over some granulated or demerara sugar – about 50 grams. * (If by the time you read this all the hedgerow blackberries are long gone, just add in an extra 100grams of apple.) Now make the topping: mix together 225 grams of plain flour, 150 grams of soft brown sugar and 75 grams of butter. Keep mixing with your fingertips until it is quite crumbly. Spread the topping onto the blackberries and apples and place in the oven at 180 degrees centigrade for 30-40 minutes. Let it cool down a little before you eat it. *If you like your fruit a bit mushed up, cook first in a little water. Serve with custard or ice-cream. 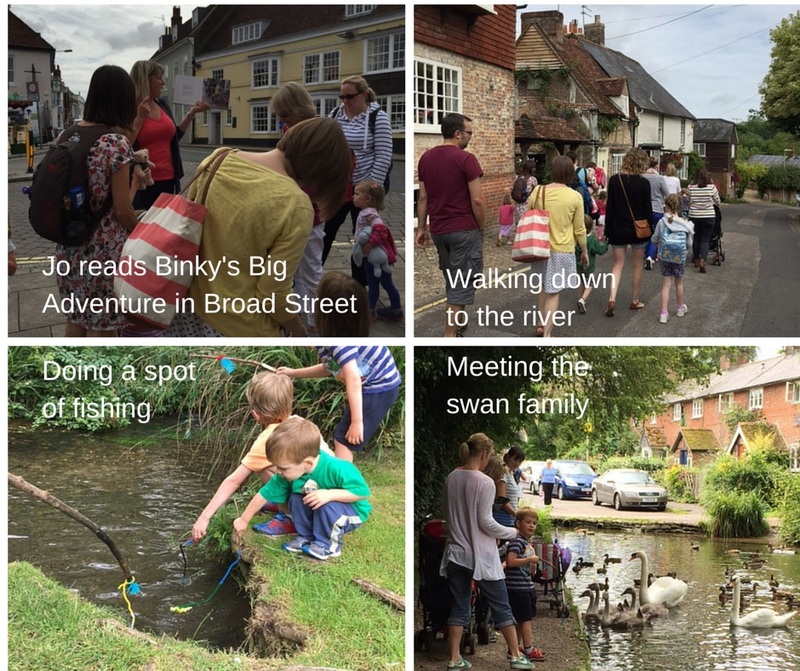 At Binky Bear we are passionate about getting children outdoors and having fantastic shared experiences with family and friends.